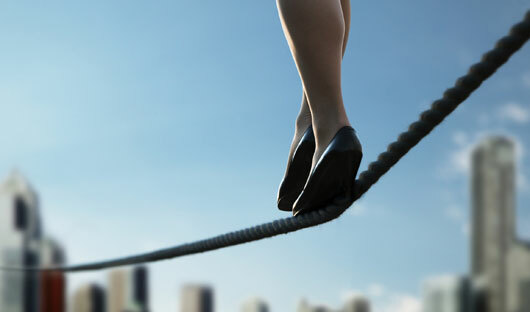 Ego in Leadership is like being a tight-rope walker. It needs to be delicately balanced. You need a certain amount of ego as a leader to achieve, to innovate, to have the courage to try something new, and to conquer adversities. When your ego is out of balance it manifests itself as a lack of self-esteem. Either you are acting with self-doubt or you are acting with false pride. Both are different sides of the same coin. The leader that is acting out of self-doubt looks for reassurance from others in a more powerful position. They rarely make decisions on their own. They are not helpful to turn to in times of need and will generally avoid conflict of any kind. The leader that is acting out of false pride is afraid to lose control. They tend to micromanage everything and everyone and their ideas are always the right ones. When they are wrong, they are usually the first to lay the blame on others. The personal traits that are seen to be positive in leaders that have their ego in balance are seen as negative in leaders that don’t. How do you keep your ego in balance? 1) Balance your self interest with the group interest. Put the needs and good of the group before your own. Ask yourself if the decision that you are about to make will benefit the organization and/or employees or is it only serving your own greed and wants. 2) Recognize your own strengths and limitations. Leaders that have their ego in balance know what they can and cannot do. They don’t delude themselves into thinking they can do everything well. They are confident in their abilities but know when they need the help of people around them. They are not ‘know-it-alls’. They are life-long learners. 3) Admit when you make a mistake. Leaders that have their ego in balance are quick to recognize when they are wrong. They do not hide behind masks of insecurity by denying mistakes or by becoming defensive. When they are wrong they promptly take action to correct the situation. They view failures as bricks in the wall of success. 4) Help to cultivate other leaders. Leaders that have their ego in balance are secure in their position and hire the best people available and help others achieve success. They do not view others as threats to their own status or to their careers. They realize that the more successful everyone is the better the environment. Do you want to learn more about Ego in Leadership and how you can become a better Leader? Do you have your own suggestions on how to balance Ego in Leadership? Join Dan Forbes and myself, as I co-host the ‘Lead With Giants’ tweet chat this coming Monday, December 2nd, from 7pm to 8pm EST. 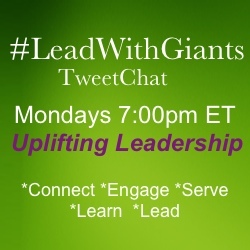 Follow the hashtag #LeadWithGiants and go to the Lead With Giants website to learn more. Hope to ‘see’ you there! Terrific tips and I love the way you put this. Often people don’t realize that it’s a delicate balancing act, and one person’s arrogance is another’s confidence.